An introduction to Bayesian methods and probabilistic programming from a computation/understanding-first, mathematics-second point of view, using Python. 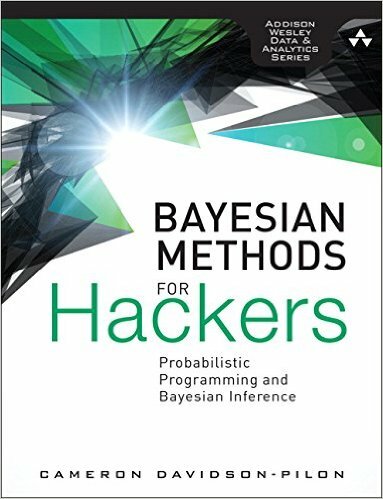 Cam Davidson-Pilon wrote:Bayesian Methods for Hackers is designed as a introduction to Bayesian inference from a computational/understanding-first, and mathematics-second, point of view. Of course as an introductory book, we can only leave it at that: an introductory book. For the mathematically trained, they may cure the curiosity this text generates with other texts designed with mathematical analysis in mind. For the enthusiast with less mathematical-background, or one who is not interested in the mathematics but simply the practice of Bayesian methods, this text should be sufficient and entertaining.